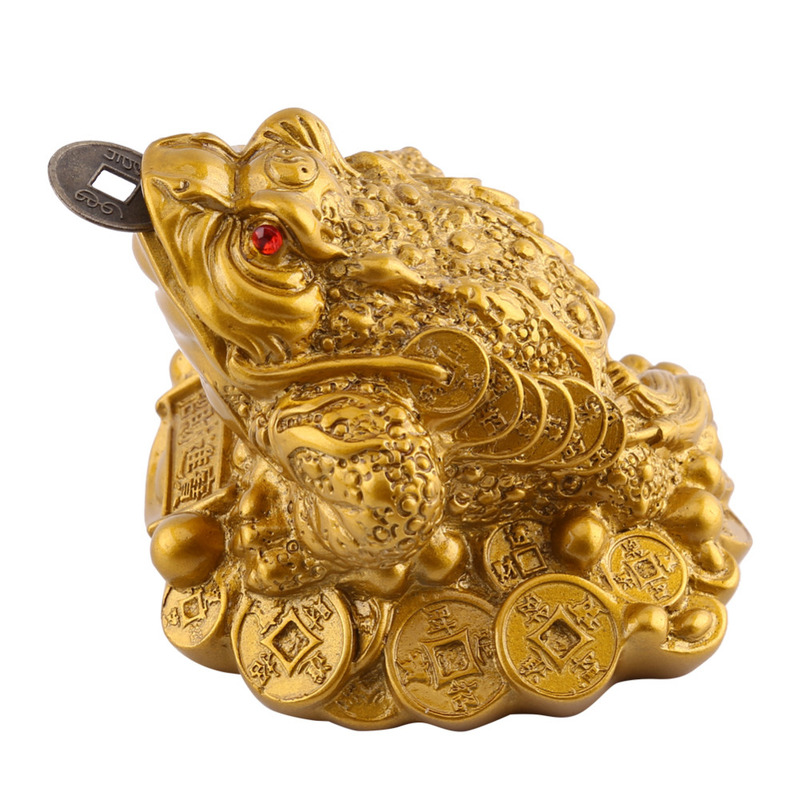 Money frog represents a popular Feng Shui charm for prosperity. 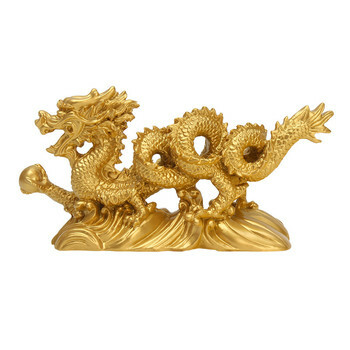 This mythical creature is said to appear during the full moon, near houses or businesses that will soon receive good news. 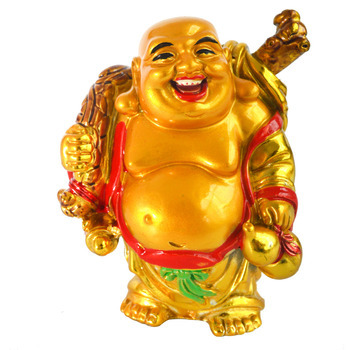 Most of the time, the nature of this good news is understood to be wealth-related. According to Feng Shui beliefs, money frog helps attract and protect wealth, and guards against bad luck. Because it symbolizes the flow of money, Feng Shui lore insists that a money frog statue with coin in mouth should not be positioned facing the main door outward. 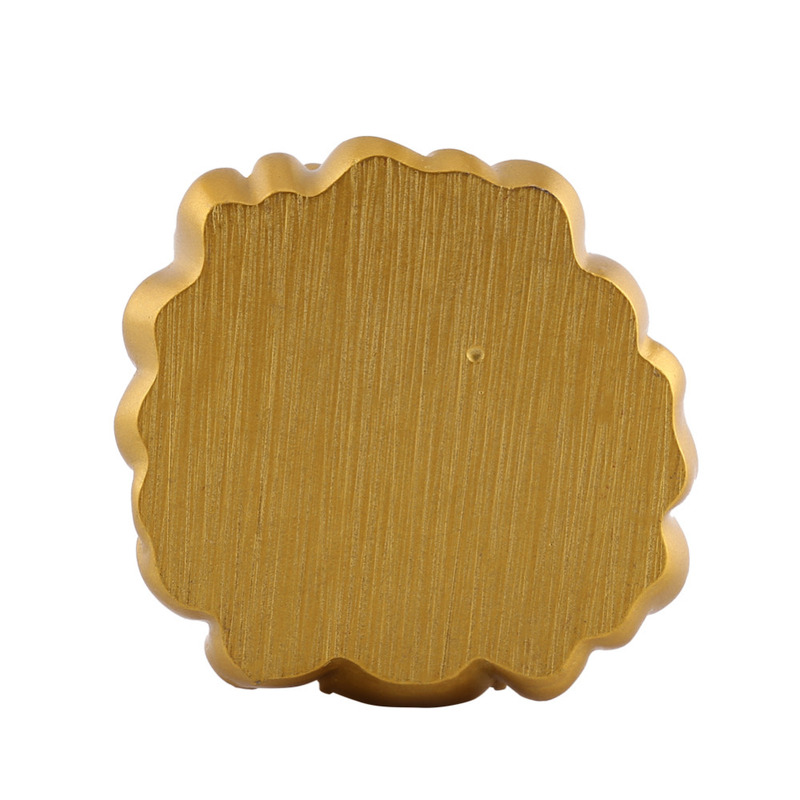 It also should never be kept in, near or towards the bathroom. 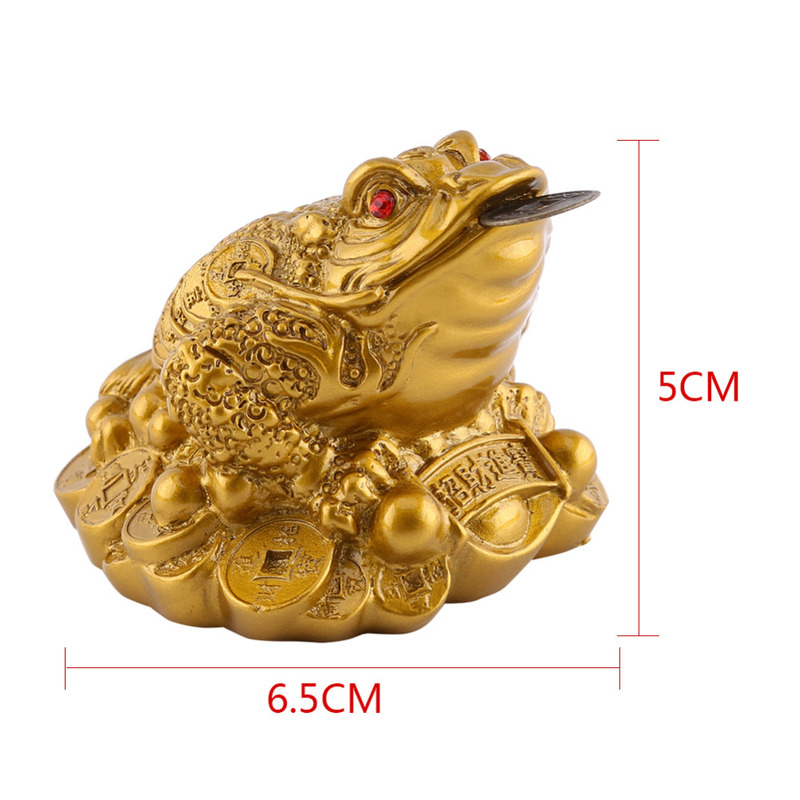 Made of high quality resin and painted gold color. 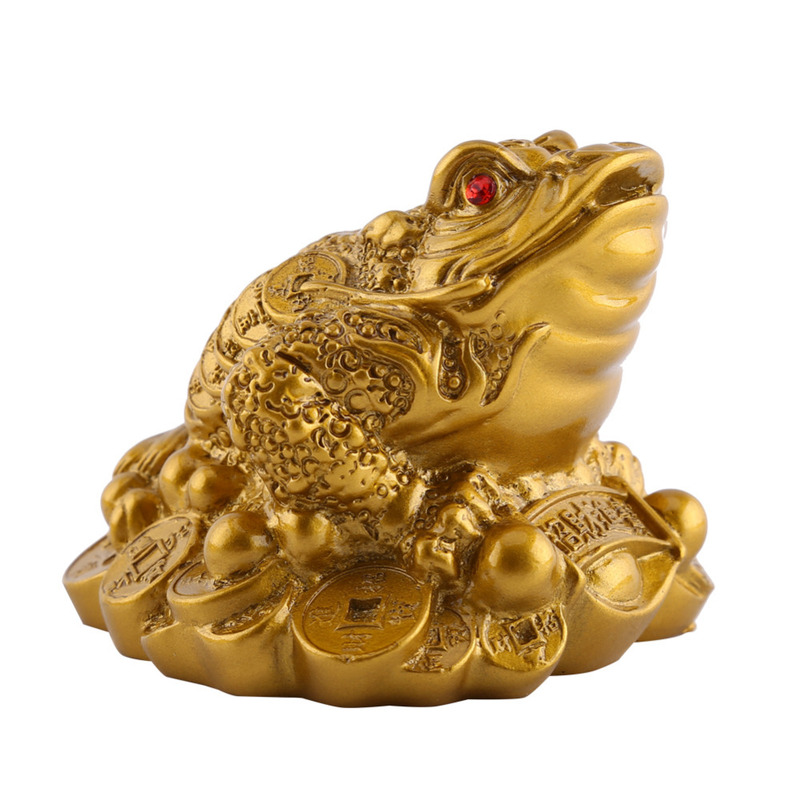 Money frog represents a popular Feng Shui charm for prosperity. 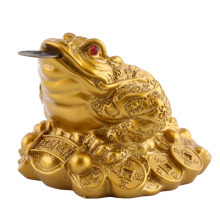 A frog with red eyes sitting on a pile of traditional Chinese cash, with a coin in its mouth. 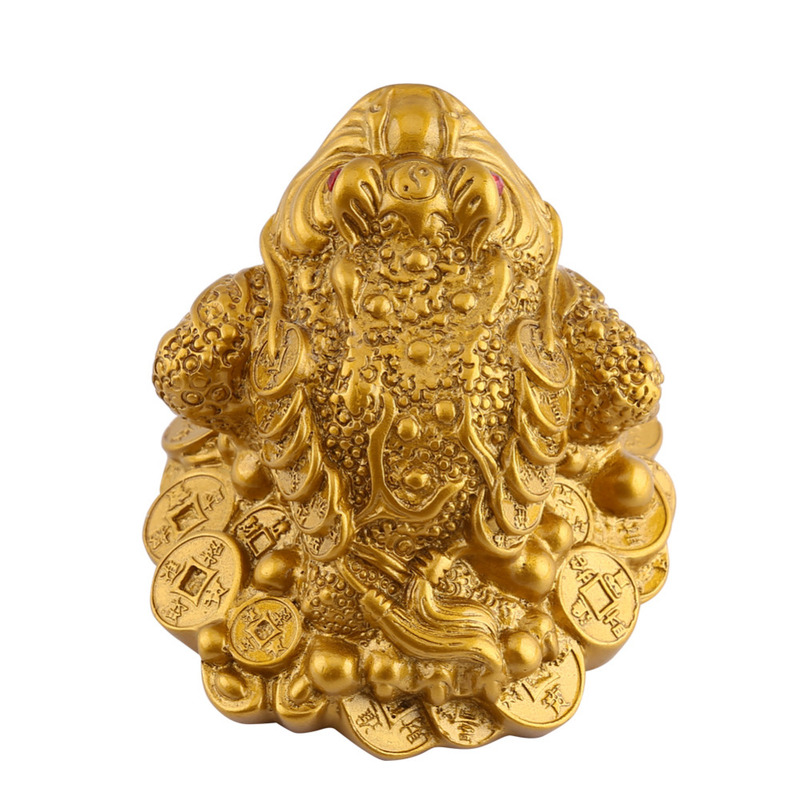 On its back, it displays seven spots symbolizing the Big Dipper which plays an important role in Chinese astrology. 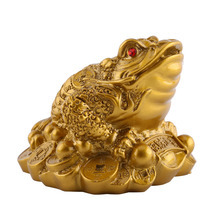 The most auspicious Chinese symbol of money-making. Place it in your home, office, store for good luck. 1.Please allow 1-3mm error due to manual measurement. Thanks for your understanding.